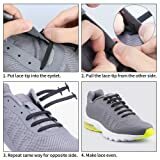 SIMPLE AND COMFORTABLE: Never tie your shoes again. 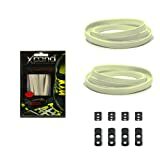 Simply install your Xpand Lacing System with the desired tension and slip-on with no hassles day after day. It's like combining memory foam and shoelaces! 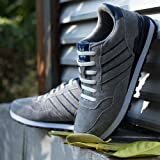 FLAT NOT ROUND: Other no tie systems on the market utilize round shoelaces that simply don't supply the comfort that our zero memory flat elastic no tie shoelaces provide. 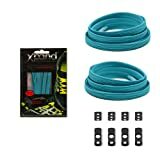 Other systems also require bulky objects that require constant attention and adjustments. 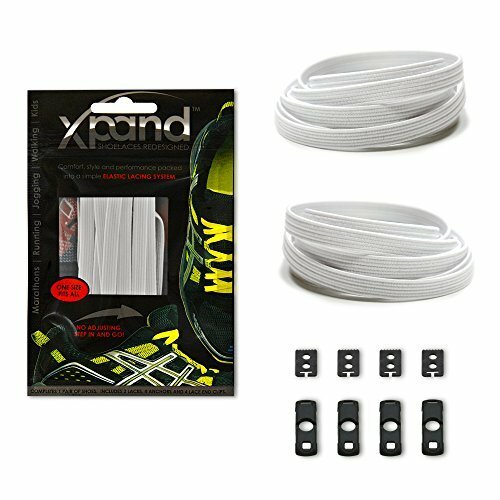 Xpand Lacing System (Patent Pending) is truly one of a kind. 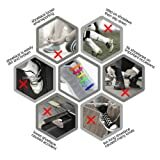 Brought to life through a Crowdfunding campaign supported by 35,000 people! The Xpand No Tie Elastic Lacing System utilizes our zero memory flat elastic shoelaces allowing you to convert almost any shoe or boot into a fully adjustable no tie slip-on. 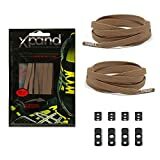 You can install the Lace Anchors on the inside of the shoe for a hidden look or you can install them on the outside of the shoe and use our Lace End Clips for a professional finished look. 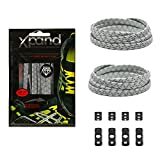 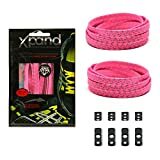 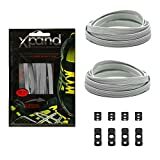 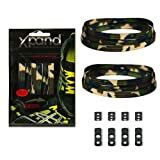 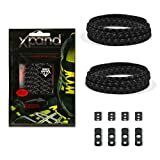 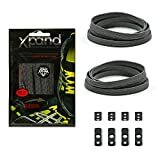 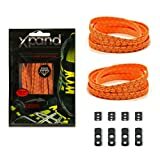 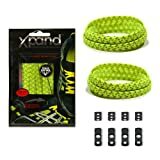 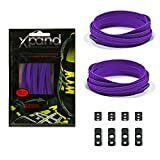 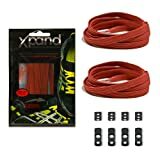 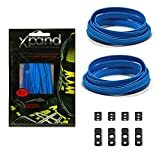 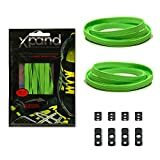 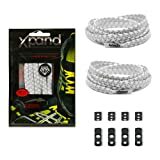 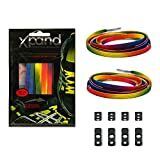 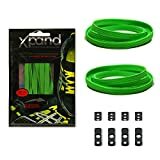 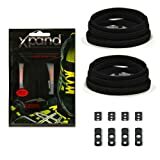 The Xpand Lacing System includes (2) 52" Xpand Laces which expand to over 100", 4 Lace Anchors to secure your laces and 4 Lace End Clips to give your laces a finished look when mounting on the outside of the shoe. 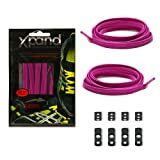 Our patent pending Lace Anchors secure the laces in place while remaining adjustable. Once you install the tension to your liking, you simply slip your shoes on and off without any further adjustments. 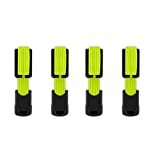 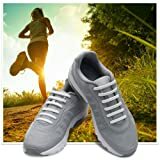 Our no tie shoelaces are perfect for runners and triathletes, hikers, bikers, kids, elderly, handicap, people with feet that swell, individuals lacking fine motor skills and anyone else that has trouble with standard shoelaces. 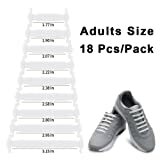 Our system will get the whole family out the door in 3 seconds flat! 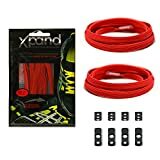 Our system requires no adjustments or hard bulky clamps to squeeze like other systems on the market, simply slip on and go.